In a recent NME interview, Vampire Weekend frontman Ezra Koenig expressed an itch to trade in his critically and commercially successful stint with the Brooklyn indie rockers for a comfy day job as a “writer’s assistant” and admitted to “daydream[ing] about going to law school”. Disheartening words for aspiring young musicians, undoubtedly: if the lead singer of a band adored by Pitchfork and the Billboard charts alike has reservations about his career choice, what’s stopping the garage band next door from trading in their guitars and snare drums for briefcases and GMAT prep books? The ennui and meager paychecks of the indie band lifestyle that Koenig considered jettisoning are central themes to Light Heat’s debut album. Though we music fans have a tendency to romanticize the freewheeling and carefree nature of the artists we adore, frontman Quentin Stoltzfus, formerly of Philadelphia psych-rock outfit Mazarin, dispels these idealist notions with some harsh existential realities. On “Brain to Recorder”, a meditation on the financial and physical sacrifices of the artistic regime, Stoltzfus laments “this creativity has cost me/ everything I’ve worked to design” and “this freedom hasn’t come easy”. The album follows with the eternal question “Are We Ever Satisfied?”, a droning organ track that targets the inescapable cynicism that leads to constant second-guessing akin to that of Mr. Koenig. Standout “And the Birds…” showcases the tradeoff between a beloved fanbase (“And the birds will sing ‘You are everything’”) and an empty checking account (“And the land will sing ‘You are nothing’”). Stoltzfus’ woes manifest themselves as a cry to the heavens rather than as plaintive navel-gazing, as the album plays as consistently up-tempo. Light Heat’s nearest sonic relative is The Walkmen, so it comes as no surprise that the indie veterans contributed to the recording sessions. Their influence shines through on the breezy, tropical guitars on “Birds” and “Elevation” and Peter Bauer’s prominent keyboard work. The vocals call to mind Alec Ounsworth, Stoltsfus’ good friend and recording partner, at his more restrained, and opener “Dance the Cosmos Light” chugs along with an energy and tone that would fit right in on a Clap Your Hands Say Yeah album. 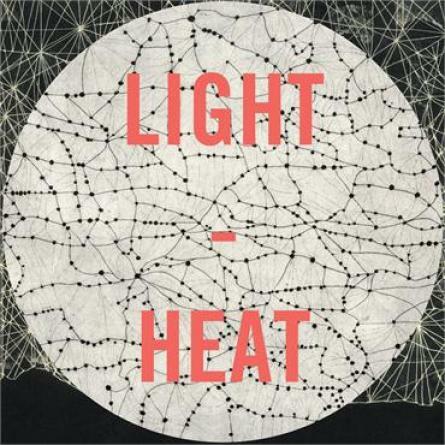 Eight years removed from Mazarin’s breakup, Stoltzfus has bided his time since his last creative output, and as a result Light Heat is an intensely contemplative, focused, and highly enjoyable effort. There is a sense of resolution to “A Loyal Subject of the Status Quo”, in which the singer’s harsh depiction of the title subject reads as a declaration of purpose: Stoltzfus embraces the artistic path over the relative stability of the working-man archetype, and as his listeners we are lucky for it.